Umami tagged me for this “The Cook Next Door” meme a few days ago and I thoroughly enjoyed it. Thanks Nicky for starting this meme! I had so much fun going through my memories of the past. My first cooking: Japanese-style curry & rice that I made when I was 10 or 11 years old. One night my mom had to attend a work-related party until late at night, and asked me to cook curry & rice for the whole family for supper. It was a reasonable choice, because instant curry roux was already popular in Japan, so all I had to do was to dice vegetables, cut meat into bite size, sauté them, add water and boil until potatoes are done, then dissolve instant roux. Easy enough. Mom wrote down instructions on a piece of paper and left it to me. When I read it, it said, “Boil with half pot of water,” but did not specify which pot. I used the biggest pot in the kitchen. Though I added the whole package of the instant roux, the curry did not thicken no matter how long I simmered it, and the runny yellowish thin soup didn’t have much of the curry taste. I ran to the backyard and cried under a persimmon tree there. Later mom came home with omiyage sushi pack for the family (I guess dad called and told her about the supper), but I felt too miserably hurt so I refused to eat the sushi and went to bed. Around midnight I woke up being hungry, sneaked into the kitchen and ate some leftover rice with pickles. Definitely my mom. She had a strange pride in not using a measuring cup or measuring spoons for cooking, and strictly taught me to use eye estimation only. See why I always have trouble posting recipes for the Japanese dishes I cook? There must be one at my parents’ house. I’ll take a look and post about it after I visit my parents this summer. Good appliance: Analogue kitchen scale. Biggest disappointment: A cheap manual hand blender I bought at a garage sale. When I used it, I had to hold the bowl with one hand, hold the blender with the other, and needed a third hand to rotate the handle. 1. Cottage cheese with soy sauce / Cream cheese with soy sauce. You will probably never eat… Some kind of edible bugs I saw on TV. Your own signature dish… There’s no such thing. I just love cooking & eating, but cannot cook anything very well, honestly. Concerning zucchini bread, I had 2 long-term goals that I wanted to achieve: one was to come up with a recipe of light-tasting breakfast zucchini bread, and the other was making one that tastes just like the very first zucchini bread I tasted in Pennsylvania about 20 years ago. Now that the first goal is almost satisfactory met, I’m up to the experiment for the second goal. This time I replaced half of the amount of sugar in my Breakfast zucchini bread recipe with dark molasses. This idea had been in my mind for a long time while I was going through the repeated experiments in the past. 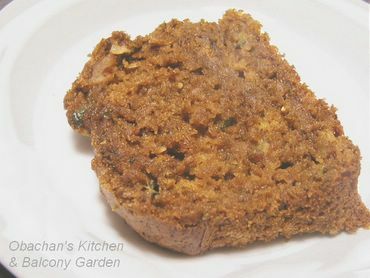 The very first zucchini bread I tasted in the U.S. was very moist, and I had been wondering if molasses or honey was added. 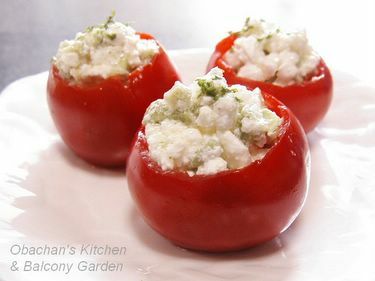 Also, another recipe I found on the net seemed to be supportive of my idea. At least, someone already tried it, which means it’s not a totally crazy idea, right? So, with the Brer Rabbit molasses I bought last winter, I gave it a try. The result --- Yes, the texture turned out to be a little closer to the first zucchini bread I had, but not exactly. More than anything, the one in Penn. didn’t have the strong smell of molasses like this. So definitely, dark molasses was not it. This molasses-flavored zucchini bread was not bad at all, though… Too bad I didn't have any raisins to add. It must have been perfect with raisins. 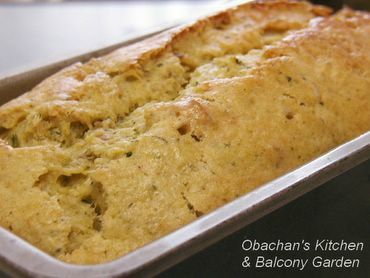 It was more than 15 years after my first encounter with zucchini bread that I actually baked one myself in Japan, using a recipe I got from an American friend of mine. I don’t remember if I followed the recipe perfectly at my first try—I only remember that I was so happy about making one myself, even though it didn’t taste like the one I had in Pennsylvania. From the very beginning, however, the amount of sugar in the recipe scared me, -- 1 cup sugar for just a little more than 1 cup flour ! -- so I started cutting it down right away. Then the problem came in… I realized strange bitterness or harshness stayed on my tongue for a long time after eating the courgette bread. I’m not sure if I can call it ”bitterness.” It was not like that of bitter gourd… it was more like what happens to your tongue after eating too much pineapples , but not exactly the same. The disturbing harshness became more apparent as I reduced the amount of sugar to make it “healthier.” I had no idea where it came from. Zucchini? Baking powder? Spices? Or possibly, the walnuts? 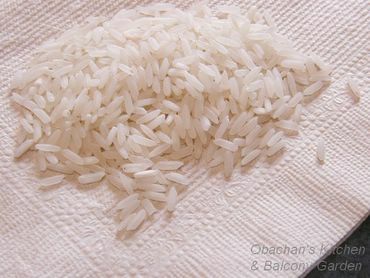 Or the Japanese salt that contained more bittern (nigari) because I always added a pinch of salt? I kept experimenting, changing the amount of ingredients each time, except for increasing the amount of sugar. I only thought about cutting down the amount of the thing that was causing the harshness, not hiding the problem with increased sweetness. But nothing worked. My zucchini bread always had disturbing harshness! She insisted that since vegetable was used as the main ingredient, it HAD TO be a healthy bread with noticeable veggie flavor, otherwise there was no meaning in adding zucchini. Vanilla extract and cinnamon must be reduced, too, she said, because it must have killed the zucchini flavor. And the harshness must be removed by all means, she said. So there my struggle got worse. Imagine making a courgette bread cutting down all those ingredients! That made the annoying harshness more apparent. All the zucchini bread recipes I found on the net didn’t say anything about the bitterness or harshness. I asked around on the net, but the answers I got were “I’ve never had such a problem.” "I don't know what bitterness you're talking about." I felt overwhelmed, but now that there’s someone else who’s waiting for the result of my experiment, I couldn’t give it up. Finally the mere sight of zucchini started causing a pain in my stomach. I’m not kidding. I could have just told my friend, “That’s the way zucchini bread is. If you don’t like it, just don’t eat it.” However, I myself wanted a mild-tasting, less-sweet zucchini bread that would be good for breakfast, so I just didn’t want to give up. Finally, I made a zucchini bread with less amount of sugar, oil and spices with no harsh aftertaste! When I tried it with a bowl of tomato soup, as I had dreamed about, I was simply overjoyed. It was used for this simmered dish. 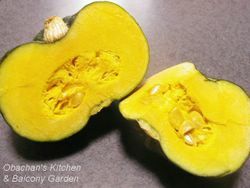 Yes, I'm talking about the kabocha pumpkin from my parents' veg. garden --- the one that I used for the casserole the other day. This is the way my mom simmers kabocha pumpkins and I should warn you that it is not a typical way in Japan. 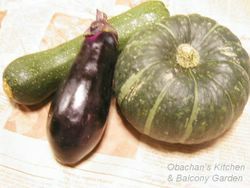 She uses chicken and another ingredient in addition to kabocha. 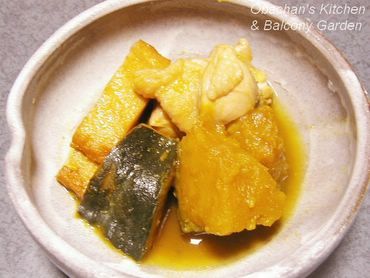 These additional ingredients, chicken and deep-fried fish paste, give so much extra flavors to kabocha and my family loves it. I admit that this is a rather heavy and mushy dish that people in the countryside tend to make…you probably won’t see something like this in a sophisticated Japanese restaurant. 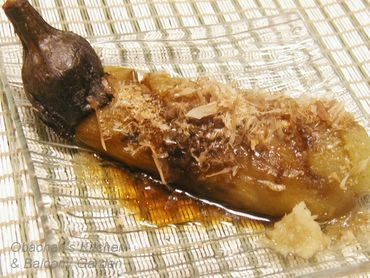 Actually I once asked around among my Japanese friends, and only some of them said they would add chicken to simmer kabocha, but no one said they would add this kind of tempura. AugustusGloop gave me a chance to do something I’ve never thought of doing: taking photos of my cookbooks :) Yep, she tagged me for this Five Favorite Cookbooks Meme. Unfortunately my cookbook collection is miserably slim, to tell you the truth. I’m no gourmet, no chef, --- I’m just an obachan who cooks/bakes to feed myself every day because no one else does it for me. “On sale” is my favorite word and I largely depend on the internet or browsing magazines at bookstores lately to get recipes and ideas because it’s CHEAPER that way. Therefore, I have nothing impressive and I’m almost embarrassed. But I also thought that it wouldn’t hurt to give this a try just to re-discover what I have --- just for my personal fun. So, here’s what I have. I don’t know if this is interesting to anyone, but I had fun doint this, after all. Less than 10 ? maybe. A thin, pamphlet-like book you can buy for 100-yen at the ever-famous Daiso 100-yen shop. I wanted the herb scones recipe in this book. I don't know if I can say "a lot" but yes, these are my favorites with some special memories. The Basics of Cooking Series (in Japanese) that my mom had. Especially the vol. “Desserts and Breads” was like my dream book. Watching the pics of foreign desserts and imagining how they’d taste like was my favorite pastime in childhood. Actually I didn’t buy this book. I stole it from my mom’s bookshelf. This must have been a giveaway instruction book that came with a kitchen knife set. Good book with tons of instructions for cutting vegs/fruits into beautiful shapes. Very dependable book. I owe this one a lot. Women’s Circle – For Cooks on the Go – P.S.I. & Assocites, Inc.
Well, looks like many of my blog friends are already tagged, so I'm going to tag only 2 people instead of 5. Hope this is OK.
Hope they don't mind my tagging them. This small kabocha is, again, from my parents’ veg. garden. My mom brought it with the tomatoes last weekend. 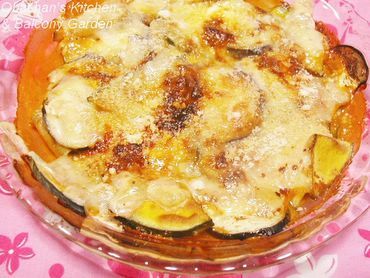 With the eggplants and zucchini I had left from the other day, I, again, went for the quick and easy solution for leftover vegetables --- cheese casserole. It was so easy to make with store-bought pizza sauce. All I had to do was just slicing the vegetables and placing them in layers with tomato sauce and sliced cheese. (I added a little cream, too.) I was also very happy to use up the grated parmesan cheese that I had in the fridge for quite a while. 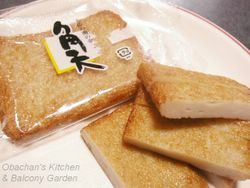 Well, how about this Japanese kissaten-style “morning set”-like toast? 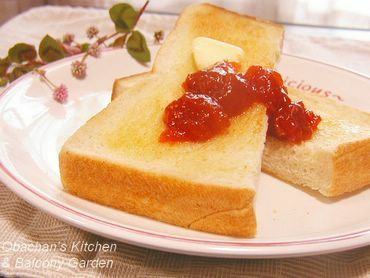 (Oh, of course they don’t decorate their “morning set” with roadside weeds like this ;P) On the thick slices of bread, which is very Japanese, is the tomato jam I made for the first time in my life! Nevertheless, the idea of making jam out of tomatoes didn’t sound so tempting to me at first. Even with my childhood experience, I couldn’t imagine what it would taste like. Sure it must be sweet… because it’s jam, but… I had no idea how much of the tomato flavor would remain and go with the sweetness. Then last weekend my mom came and brought me some of the big, ripe tomatoes that one of our relatives had given to my parents. They were very ripe and I was 100% sure that I would end up throwing away more than half of them if I didn’t eat them up within a couple of days. The best solution seemed to be cooking them. Maybe tomato sauce? I’m planning some gumbo recipe exploration this summer, so tomato sauce would be really useful. But… another voice inside of me said “Hey it’s the best chance to find out what tomato jam would taste like! !” And the voice finally won. Making tomato jam was pretty easy, much easier than the marmalade I made before. The only problem was that I made my jam a little too sweet. 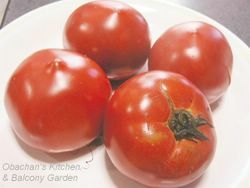 The recipe (in Japanese) said 200 – 300g sugar for 1kg of tomatoes, and I used 230g sugar for a little less than 1kg tomatoes. Plus, I added a little pectin powder at the end. I forgot about this at that time but our store-bought pectin powder is already mixed with sugar, so it added extra sweetness to my jam. I’m not reluctant to call this result a success, though. It tastes fine with buttered toast. 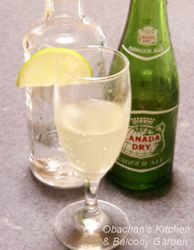 Would be nice for tarts and pies, too, if combined with something sour. 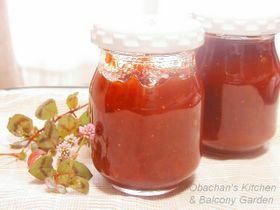 There seem to be some other interesting ideas on the net such as adding black pepper or ginger to tomato jam. Hmmmm…This is going to give me lots of fun this summer! * I couldn't wait until the next time, so I already tried adding some ground black pepper to the jam. I definitely like it BETTER with the black pepper!! It seems that this blog had been very unfriendly to IE users for the past several days. Unfortunately I didn’t notice the problem because I use Firefox most of the time. How Many Milliliters Are in 1 Cup in Your Country? There's a question that I have always wanted to ask people in other countries (except US, UK, Canada and Australia, because for them I already know the answer.) The question is, "How many milliliter(cc)s are in 1cup in your country?" Through the conversions I had to do for foreign recipes in the past, I learned there were differences among countries. In Japan, 1C=200ml. I'm curious about how it is in other countries (except those countries listed above.) Can you help me with this small personal research? It’s been a while since I posted about the food we serve at the izakaya where I work last time. 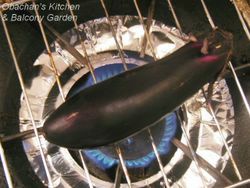 Here’s another one: Yaki-nasu (grilled eggplant). At our izakaya, yaki-nasu is the menu for summer season only and we just started serving it last week. It has been my favorite since childhood. When I was small, the typical weekday lunch in my family in summer consisted of yaki-nasu, miso soup from breakfast, tofu and grilled himono (dried fish) with rice. BTW, today I did another thing that I haven't done for a long time. I painted a watercolor. 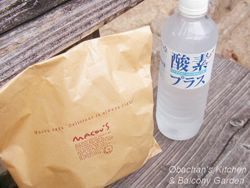 Since I couldn’t stand watching the same old infomercials on TV orer and over, I decided to go out and have lunch in a nearby park. Some photos are posted here. 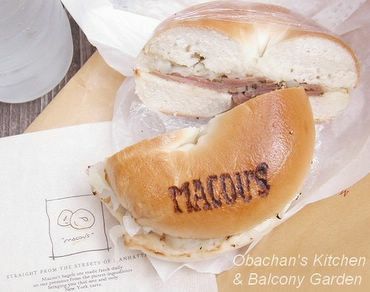 It was December last year that I had Macou’s bagel sandwich last time, and I decided it was about time to try another one. This time I got pastrami pork & sauerkraut with plain bagels. Sauerkraut with bagels?! Hmmm….why not. And it was not bad. I didn’t really see why it had to be pastrami pork instead of beef, though. Curiosity made me buy this “oxygenized water” in the pet bottle. To be honest, I didn’t know what good it does to you until I googled a little last night. (There was no explanation on the bottle.) Now I learned things like these. Though very convincing, I don’t think I want to keep buying this expensive kind of water. Today’s supper. Maybe called “Asupara-maki-furai” in Japanese? 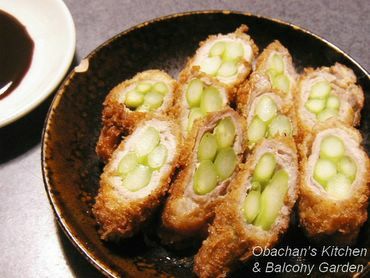 Asparagus rolled in thinly-sliced pork, seasoned with sake, salt & pepper, breaded and deep-fried. Served with tonkatsu sauce. Pretty good. Today’s cocktail: Moscow Mule. Can you imagine how many places I had to go to find this ginger ale? This is the “cocktail /salad-dressing shaker” that I bought at the 100-yen shop. See? 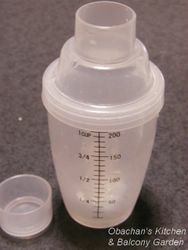 Didn't I tell you that it looks like a baby bottle? Zucchini bread has become something very special to me in the past couple of years. I’ve experimented quite a bit to come up with a recipe of very light-tasting zucchini bread that is good -- at least for me –- for breakfast. Unlike many Japanese people, I love having sweets for breakfast once in a while, such as pancakes with loads of maple syrup, sweet muffins, cinnamon rolls and so on. 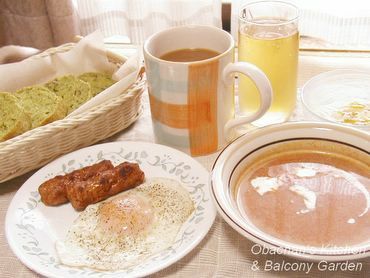 But when I thought about having zucchini bread for breakfast, I definitely wanted it to have a light taste so that it would go well with my favorite breakfast foods like sunny-side up, sausages, tomato soup, yogurt, juice and coffee. 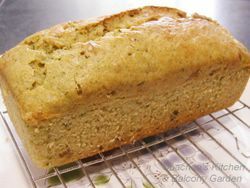 Somehow I saw zucchini bread as something along the line of cornbread... something to eat with meals. My Brunch. Sometimes I toast zucchini bread slices and spread butter on them. 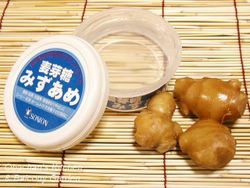 I love eating this with cold soy milk. Recipe to follow. Sift B (except walnuts) together. 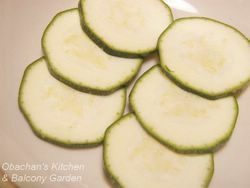 Rub zucchini with salt (I use apx. 1 Tbsp) by rolling it on a cutting board until the skin becomes tender. Leave for a little while to let moisture beads form on the skin. Rinse well with water. 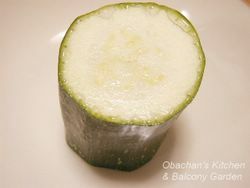 Grate the zucchini to make one cupful, drain and squeeze gently to get excess juice out (but not too much). Mix A in a bowl. Add B to A and mix. Add walnuts. Pour in a greased or buttered loaf pan (8x4 or 6x3 inch) and bake at 375F (190C) for apx. 30 min. 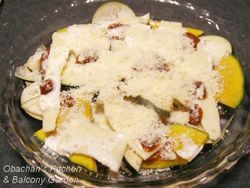 * Adjust the amount of flour depending on how moist the grated zucchini is. 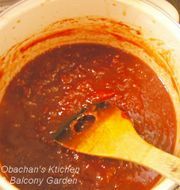 Actually, this is the recipe that I gave chika about a year ago before I started my own blogs. (A few minor additions were made in the recipe posted above.) 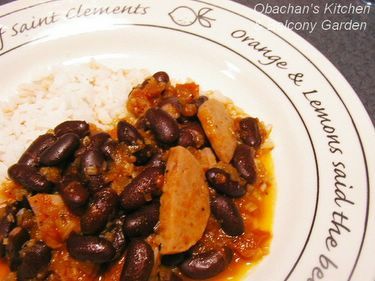 At that time I was using a nickname, “ole miss” on some online message boards so I named my recipe “ole miss special.” ;P I thought my recipe deserved that name because I had worked so hard to come up with it. Because of its mild taste, this breakfast version of courgette bread seems to have inspired some people to creatively give some twists and make their own versions. This year I’m going to experiment some more for a recipe of a sweeter & moister version which should be closer to the 1st zucchini bread I tasted in the U.S. long time ago. There’s a lot I want to write about me and zucchini bread, including the reason why I rub zucchini with salt, but it’d be too long for a single entry. Since I’m going to make zucchini bread a few more times in this zucchini season, I’ll post just the “part 1” of the story here. The rest will be added to my forthcoming zucchini bread entries. 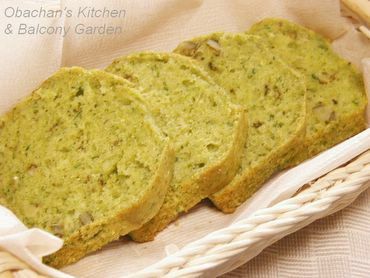 * My first encounter with zucchini bread was at an Easter dinner at my friend’s house in Pennsylvania, USA, back in 1984. There I tasted a slice of something that looked like pound cake, except it was green. And it was so sweet and moist and… something I had never tasted before. I asked my friend what it was, and she said, “Zucchini bread,” but I had no idea what zucchini was then. She also told me that it was her grandmother who made it. According to my friend, her grandmother had lost her eyesight (because of a disease?) but she was an excellent baker, and no one in her family and extended families could make zucchini bread like her grandmother did. I was so touched to witness how much everyone loved the grandmother. The moment I told her how great her zucchini bread was, her face brightened up with a smile. That was an unforgettable scene. If I were as shameless as I am now, I would have asked her to give me the recipe. Unfortunately I wasn’t. Also I assumed that such an elaborate dessert would be too difficult for me to make and just chickend out. So that was all for my encounter with zucchini bread. I had no chance to eat or even see one for quite a while after that. Crab Rangoon with Ice-Cold Beer!! Crab Rangoon and Ice-Cold Beer! Anyway, I gave it a try today. 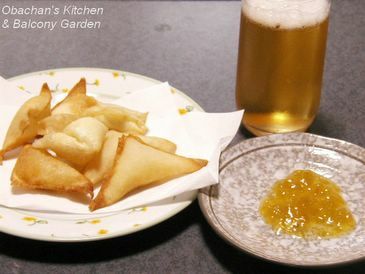 Crab Ragoon with ume (Japanese plum) jam and ice-cold beer (more precisely, low-malt beer). I’m currently TUI (Typing Under the Influence) so forgive me if I sound funny or don’t make any sense in this post. I LOVE Crab Rangoons so much but I had to go through some hard times to get where I am now in making them. At first I tried to wrap the filling just like the way they did at a Chinese restaurant in a small town in Miss., USA that I stayed long time ago. They wrapped it by gathering the 4 corners of the wonton wrapper together at the top and pinching the edges togethrer tightly. It never worked when I did the same thing… the filling always came out from somewhere, no matter how carefully I sealed the wrapper, and made a terrible mess. You know what I mean? The mess? So after several trials & errors (I got burnt so many times!! ), I settled down with this triangle shape. I couldn’t find wonton wrappers at any of the nearby supermarkets today, so I bought spring-roll wrappers and cut them into smaller squares. For the filling I used cream cheese, minced green onions, soy sauce, garlic powder and canned crab meat. I didn’t measure anything so don’t ask me how much of those ingredients. I used 2 spring-roll wrappers for each crab rangoon for extra crunchiness. And it was sooooo GREAT! 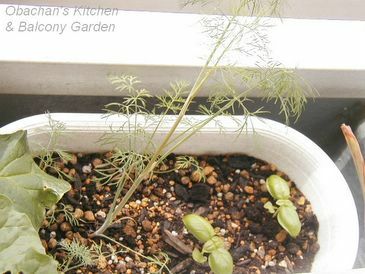 Dill looks OK, but maybe it is not a good idea to have it in the same planter with basil…?? A newcomer to my balcony garden purchased at the Sunday Market last weekend. According to the tag that was attached, this is supposed to be the kind that yields fruit. That’s what I had been looking for for a long time! 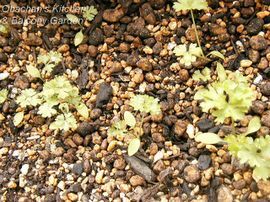 The green fruits of sansho are so fragrant and you can mix them with dried baby sardines, season with soy sauce and other seasonings, mix into cooked white rice and make very tasty onigiri (rice balls). The lady who sold this to me said this may not start fruiting this year, though. Mmmmm… how many years would I have to wait until I make my dream onigiri….? 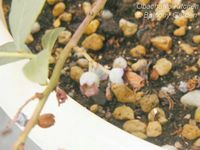 Well, don’t ask me how many berries my “sunshine blue” has now… Looks like not many bees visited my balcony garden this spring. Most of the flowers just turned brown and fell, and that was it. I’d be really lucky if I would be able to pick 5 or 6 berries this year. My rhubarb is definitely doing much better than last year. 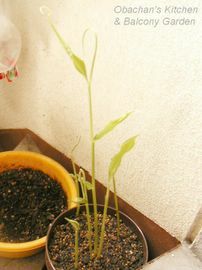 It was only about 5 cm tall in July last year, and couldn’t survive the heat in summer. 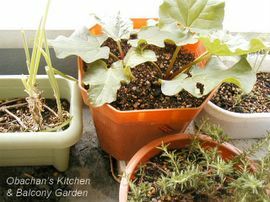 This year I transplanted my rhubarb to a bigger planter in May and used fertilizer-mixed soil. Looks like it’s working. My rosemary is doing just fine, too. The one that’s growing much better than I expected is this myoga ginger. There is a place near my parents' veg. garden where bunch of wild myoga grows. 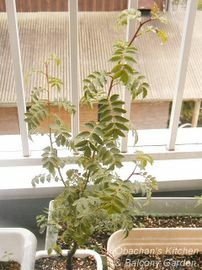 I dug up a few roots from there last winter, brought them back to my apartment and planted them in this pot. They say myoga can grow in a shade and needs little sunshine, but I was skeptical, so the way it is now is almost surprising to me. Can’t wait to see its lovely flower buds! My complete day off. Working on defrosting my freezer since noon. Also made a special meal to celebrate my domestic day: Red beans and rice with tomato-cup salad. Even made a cocktail later, using the plastic“shaker”(looks more like a baby bottle to me) that I bought at a nearby 100-yen shop this morning. Red beans and rice turned out good. Maybe a bit too much tomato flavor… I added the seeds and pulp from those tomato cups. 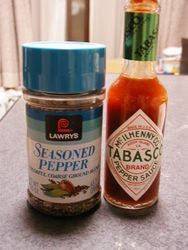 Instead of Creole Seasoning, I always use Lawry’s seasoned pepper, garlic powder, cayenne pepper, paprika and thyme. That's the best I can get here. Even added a little tomato ketchup,too. That’s how I was taught in Miss. USA, so that's not my fault. My first try. A small present to someone who cannot afford a trip to Bahama beach. Making cocktail is so much fun. 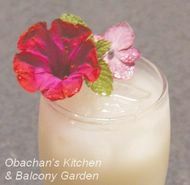 Japanese readers, I bet you can tell what flowers I used for this drink? Pathetic idea, ha? Well, now inside of my freezer looks clean as new. No frost, no mystery packs! The chicken stock I made today is being frozen in there. What does it mean to me? Time to take a shower, and some more cocktails afterwards. 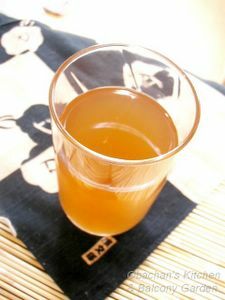 OK. To answer the repeated requests from one of my dear readers, here’s an entry of a Japanese summer drink, “hiyashi ame (cold ginger drink).” Perhaps those who live (or have lived) in Kanto area have never heard of this drink. It is said that hiyashi ame is a traditional drink known in the western half of Japan only. 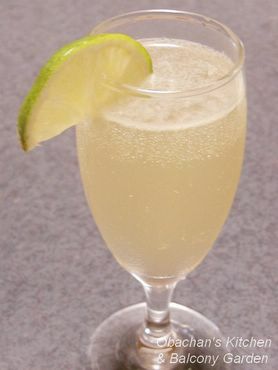 Squeeze grated ginger to get juice. 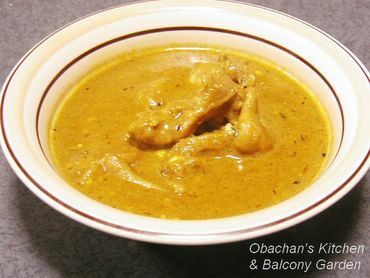 Cook sliced ginger, malt sugar syrup, sugar and water in a sauce pan, stirring occasionally, and bring to boil. Reduce heat and simmer for another minute. Turn off heat. Put teabag in and leave until the sugar-ginger mixture turns amber. Remove teabag and sliced ginger. Add apx. 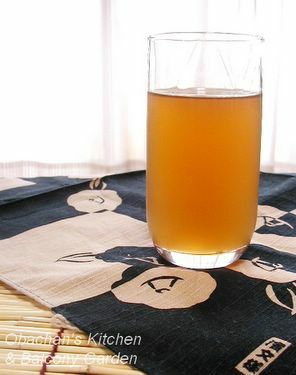 2 teaspoons of ginger juice. After cooling down, cool in the fridge. Serves 4 or 5. 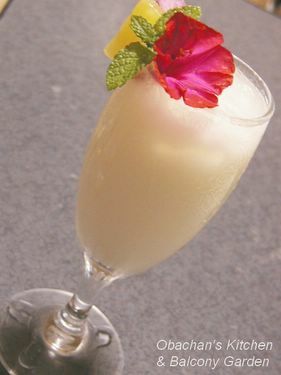 For making this drink, I think it is the best to add ginger juice little by little, tasting after each addition, and decide the amount you like. If you want it sweeter, you can add more sugar while the drink is still warm, or if you think it got too strong, you can add some water there. There is a small shop on the Sunday Market Street in Kochi that is famous for the hiyashi ame they serve there. It’s located very close to Kochi castle and you see many elder people playing shogi (Japanese chess) outside right next to the shop. The shop owner says his hiyashi ame recipe is a special one and he keeps it a secret.